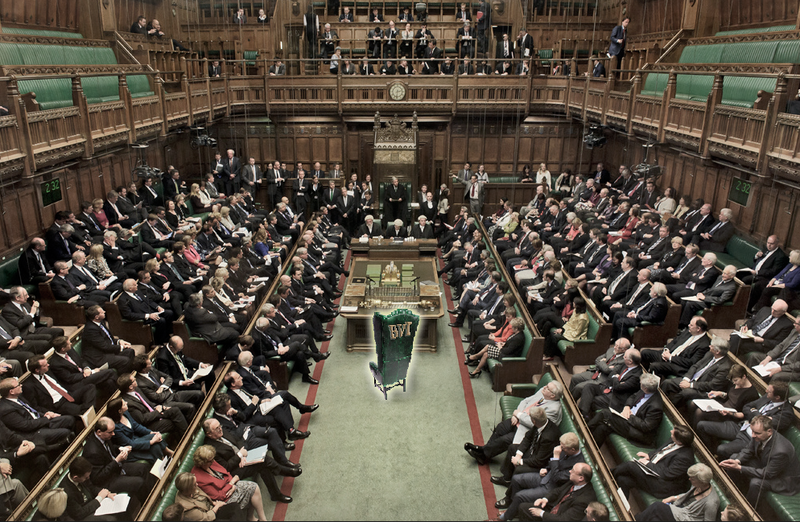 A sitting of the UK parliament. In recent times, the British Virgin Islands has been on the receiving end of strong-arm tactics from the UK – the territory’s parent nation. Such tactics include forcing unfavourable policies on to the BVI and this has left a bitter taste in the mouths of locals; many of who are now keen to conclusively sever ties with the global super-power. But, the BVI is being reminded of less extreme measures to independence. One of those options is to get a local representative in the Palace of Westminister where UK parliament meets. “That can ultimately mean us having a ‘seat at the table’ where we actually have a minister of government, and it doesn’t necessarily have to be a Secretary of State. We can have a junior minister … There are various models [we can consider]. Whatever we want to propose [to the UK, we can],” said local attorney-at-law, Jamal Smith. The attorney said an extension to the having a BVI representative in Westminister might also be to expand the powers of the BVI London Office. “Right now, the London Office is more or less a lobby house. If you look at the offices that Northern Ireland, Wales, Scotland have in the UK, it takes on a different kind of role because they have a seat at the table. So, the question is: do we want that seat at the table, and how is that to take shape?” Smith said. Northern Island, for example, is often considered as a ‘province’ of the UK, given that it is located on a separate land mass to the three other countries that make up the UK – England, Scotland, and Wales. However, the country still has its Northern Ireland Office which, unlike the BVI London Office, is suitably empowered to ensure ‘interests of Nothern Ireland are fully and effectively represented at Westminster’ and at ‘the heart of UK government’. Attorney Smith said the BVI, like Nothern Ireland, can seek to have its London office receive more authority in Westminister. But, the attorney said this might create less desirable effects such as tax implications. “If we are going to have this relationship with the UK and be part of global Britain, we have to ask if they are going to be tax implications to us if we do that and how can we negotiate to have what we want without the tax implications,” said Smith who was speaking recently during a series of community meetings organised by Opposition Leader Andrew Fahie. The meetings were held to document residents’ comments on what they want the future of the BVI’s relationship with Britain to become. These meetings are in response to a UK-commissioned inquiry that is currently assessing its governance and financing of Overseas Territories (OT) such as BVI, the benefits and ‘liabilities’ to the UK/OT relationship, and the representation of the OTs in the UK and internationally. Would this mean Cayman, Turks & Caicos, and other BOT all have one seat each? Why is that your concern. Lame excuse for a thief to give as a reason to not return or compensate for stolen goods. Better to be the poor master of your own fate, than the rich servant of someone else… (although, don’t forget the operative word). Anonymous I agree with completely with what you said. How ever I resent your bringing of Haiti into this nor do I see your need too denigrate Haiti. And no I am not Haitian nor do I have any family that are from Haiti. I am a born and raised B.V.I. islander. It would be best if we could voice our opinions without having to put down another country. Yes Haiti has problems but they are not part of this discussion. Other than that I am in total agreement with you as it relates to the B.V.I. Those who talk about racism and independence are being led by self serving people to cut off their nose to spite their face. When the only people such talk benefits are those who are in the forefront leading. ITS all about mmoney for those most upset and pushing this agenda. MONEY FOR THEM NOT THE B.V.I. @@Cashin why not just kill all white people? Or at minimum steal all their possessions? Would that make your ancestors feel better? Or would it just make you a mountain of cash, and bodies, that you could show off. If your are so sure of your little Mohammed Ali phrase, why not just ignore good and evil, fair and unfair, equality under God, decency vs degeneracy, understanding vs stupidity, etc etc etc, and just head into the Caucasian world and take whatever you want off whoever you want? Hell, they’re all a bunch of snakes. That’s how blunt your instrument is. That’s how your logic goes. And congratulations on going full circle from victim to purveyor of evil – you truly are speaking the language of the KluKluxKlan. Let me get this straight, you think the BVI should have the same rights in Parliament as Wales or Scotland but you don’t think we should have to pay taxes in turn to the UK? Reparations!! Really!! For what exactly? Because over 150 years ago your forefathers were in slavery? Get over it. It was 150 years ago. Many people have suffered and have been enslaved but the “belongers” should get reparations. You should stop that nonsense and make something of yourselves and your country. In 150 years what have you accomplished? A storm passes through and you don’t have the means to clean up the country or rebuild it. If you want to be the masters of your own destiny that’s fine but don’t go calling the U.K. for help. Help yourselves. Stop Thief .Hush…give me that which was mine and which you stole you stole you deceived you plundered you murdered. Give me my stolen wages and let me be. Unconscionable mass of pink protoplasm are. Reparations to the mellanated as you gave to the yellow and to the Whites. So you think reparations for the descendants of slavery is nonsense. The reparations doled out to the asians and to Whites are wonderful. I pity you. Where is your humanity and sense of justice. This is the line of thought which has the UK making strides to destroy the self made economy of the BVI. Know your history.Any and all black built economy is subject to be destroyed by you and your kind of evilness. We shall rise.We always do. @Anonymous. You obviously do not have BVI interest at heart. Your agenda stinks of imperial nostalgia and historical amnesia. Spewing such obvious such utter bigoted ignorance and contempt it’s no wonder you call yourself ‘anonymous’. Your hatred of the white man is so pronounced that it makes one wonder why you would want boat loads of white people visiting the island. I’m sure Disney will be made aware of the sentiments of the population. Oh, so now because of something you found out happened 200 years ago, you want cash? How you going spend it? New car? New crib? Crazy vacay in Miami Beach? Go get that money from the pockets of poor people in Britain who have to pay tax and never once owned a slave! Go get it! So these descendants of slaves just found out that they were slaves? Just found out that their captivity and free labour is the building block of the wealth of the thieving plundering murderous lying mutants? No, through very selective education that focuses on their own ancestors’ oppression, some people have decided – and spread the word among people with no/little education – that there’s cash they can get their hands on. Using this deliberately narrow version of history they come to very strange conclusions – ie white people 150 year ago did this to black people, therefore all white people now owe black people money; our ancestors were victims so we need to take money from the living white people to make up for our ancestors’ pain, even though today’s white people might themselves be victims of eg class oppression, gender oppression, religious, national, regional, denominational etc oppression. Who cares. Give us the cash. Some of you pretend that all white people are Arthur Hodge and are all rich and it’s all because of slavery so they owe you. That’s just not true, and although it’s an untruth that might make you some cash, it breeds hatred among humans – who are all equal in the eyes of God. Unapalabra – you’re a first class idiot. You would think the B.V.I. was all powerful to dictate those type off terms. I dont don’t understand the thinking off these people and worse yet those that they are leading who fall for this nonsense. Make your mind up please…. and stop procrastinating and whining about how bad the UK is to us….its just not true. One month its March for Independence, statements from NDP ministers declaring war on the UK and now you want a representation in Parliament – what jokers you are! No wonder the UK is sick of us,keep this up and they will divorce us and then where would we be! We would be free of a disrespectful dishonourable loathsome archaic and colonising mechanism and you would have to find another means of self loathing. The way things are going, tax is the last thing we should be worrying about, if there are no jobs there won’t be any income to pay tax on. On the “seat at the table” suggestion, great idea, but, like Northwrn Irelend and Wales, full freedom of movement within the realm is the rule of law. Holders of British passports will have Belonger status which is perhaps long overdue. We would have then world class health care, no more burning at Pockwood pond and more effective education with imported better qualified teachers. The power station may not break down so often and projects like the hospital and Pier Park might come In on time and on budget. Some of the tolian wypipo are panicking so much that they have practically taken over the blogs and writing mucho basura which only serves to boost the call for independence and hopefully their ship sailing away,far away.They serve little purpose but disruption and hatred globally. We may not get all that we ask for, but nothing beats a failure but a try! I am at a lost for words to describe the people who fall for this type of nonsense. You think the B.V.I. have problems now let these selfserving people lead us over the cliff to independence which the British would be more than happy to grant. In 1800’s we had benefit to the British maybe even in the 1900’s but not now nor into the forseeable future. And again if these offshore companies were so beneficial to the B.V.I. what happened to the money that should have been there to rebuild the B.V.I. without having to turn to the British for help. If said monies had existed but was not there in time off need I wonder what happened to it LOL. If the money was there and used to rebuild the B.V.I without Britis help then those pushing for independence would make more sense. “What happened to the money?” Many of our ministers have been in public office their entire adult life. Where did their fantastic wealth come from? How many BVI companies do they own or have a benificial interest in? Truth be told, the white man didn’t get us into the mess we are in as a country financially speaking. It’s the greed and corruption and the entitlement mentality. We should not have to go to the UK or any foreign bank or lending institution with cap in hand begging. Had we not allowed some of the local politicians and a segment of their political supporters to take us for a ride. We would have been much better off financially. We as BVIslanders have a tendency to blame everyone else for our failures and short comings rather than taking a hard look at hwho we are individually and changing our ways and our ways of doing things. For far to long we have placed most of our emphasis on the local financial services sector while neglecting and overlooking tourism, agriculture and fishing. When are we going to hold ourselves accountable rather than continuing to blame the white man and the U.K. for the dilemma we are mostly responsible for bringing upon ourselves.and our territory? Racism, racial discrimination……..etc is real. In the UK, examples of racial hatred, racial discrimination……etc include University College of London study on compensation for slave owners after the abolition of slavery, Windrush generation, John Enoch Powell attitude on immigration, especially immigrants from the Commonwealth……..etc. Nevertheless, to find the prime reason that the BVI is in the financial straights that it is in, all we (BVI) have to do is peek in the mirror. The BVI went all in on financial services sector that generated $B of dollars. But the BVI got drunk, got high on the revenue from the cash cow, financial services. It spend money like a drunken sailor; well, their spending habits is an insult to drunken sailors. An example of the profligate spending is the $7.2M giveaway to BVI Airways, a bankrupt and bruk aitline. Moreover, the poor financial stewardship and lack of fiduciary responsibility is the BVI’s doing. Moreover, politicians alone should not shoulder the blame; the electorate must also should the blame for the financial cliff that the BVI is dangling over. The electorate are a sleep at wheel, in a deep slumber, disengaged from the day-to-day missteps of government……….etc. Votes cast on Election Day, the electorate cannot go into hibernation and must stay engaged. You are correct, imo. Only, you miss that many of the electorate are integral to the corruption. Contractors paying their workers a small little extra to keep they mouths shut about corners cut; local partners not paying their SS and NHI etc but keeping it in the pocket; whole families – the big, old names from way back – agreeing to vote one way or another according to what’s on offer to them from a politician or candidate – ie land opening up that suddenly makes them real estate millionaires, etc. etc. Corruption needs more than just a minister with an offshore bank account (irony). It needs enablers and we the people have been an enabling force in the low standards, high wastage, over-spending, mindless use of the cash that financial services was giving us.